Grand Cherokee Laredo, 4D Sport Utility, 3.7L V6, 5-Speed Automatic, 4WD. CVT with Xtronic. 27/39 City/Highway MPGPriced below KBB Fair Purchase Price! This Ford Edge has a dependable Intercooled Turbo Premium Unleaded I-4 2.0 L/122 engine powering this Automatic transmission. Wireless Phone Connectivity, Wheels: 18 Aluminum Painted Sparkle Silver -inc: Split-spoke, Vinyl Door Trim Insert. *Packages That Make Driving the Ford Edge SEL An Experience*Unique Cloth Bucket Seats -inc: 10-way power drivers seat (fore/aft/recline/lumbar/up-down/tilt) and 6-way power passenger seat (fore/aft/up-down/tilt), Trip Computer, Transmission: 6-Speed Automatic -inc: paddle shifters, Transmission w/Driver Selectable Mode, Tires: P245/60R18 AS BSW, Tire Specific Low Tire Pressure Warning, Tailgate/Rear Door Lock Included w/Power Door Locks, Systems Monitor, SYNC -inc: enhanced voice recognition communications and entertainment system, 911 Assist, 4.2 LCD screen in center stack, AppLink and 1 smart-charging USB port, Strut Front Suspension w/Coil Springs, Streaming Audio, Steel Spare Wheel, Speed Sensitive Variable Intermittent Wipers, SiriusXM Radio (subscription required), Side Impact Beams. 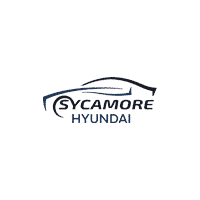 *Visit Us Today *Test drive this must-see, must-drive, must-own beauty today at Brian Bemis Ford Hyundai, 1880 Dekalb Ave, Sycamore, IL 60178. 4WD, ABS brakes, Alloy wheels, Compass, Electronic Stability Control, Front dual zone A/C, Heated door mirrors, Heated front seats, Heated rear seats, Illuminated entry, Integrated Trailer Brake Controller, Low tire pressure warning, Navigation System, Remote keyless entry, Traction control, Voice-Activated Navigation.Awards:* NACTOY 2015 North American Truck of the Year * Green Car Journal 2015 Green Car Technology Award * 2015 KBB.com Brand Image AwardsBased on 2017 EPA mileage ratings. Use for comparison purposes only. Your mileage will vary depending on how you drive and maintain your vehicle, driving conditions and other factors. 4WD.Awards:* Green Car Journal 2015 Green Car Technology Award * NACTOY 2015 North American Truck of the Year * 2015 KBB.com Brand Image AwardsBased on 2017 EPA mileage ratings. Use for comparison purposes only. Your mileage will vary depending on how you drive and maintain your vehicle, driving conditions and other factors. 4WD, ABS brakes, Compass, Electronic Stability Control, Illuminated entry, Low tire pressure warning, Remote keyless entry, Traction control.Odometer is 23653 miles below market average!Awards:* Green Car Journal 2015 Green Car Technology Award * NACTOY 2015 North American Truck of the Year * 2015 KBB.com Brand Image AwardsBased on 2017 EPA mileage ratings. Use for comparison purposes only. Your mileage will vary depending on how you drive and maintain your vehicle, driving conditions and other factors.